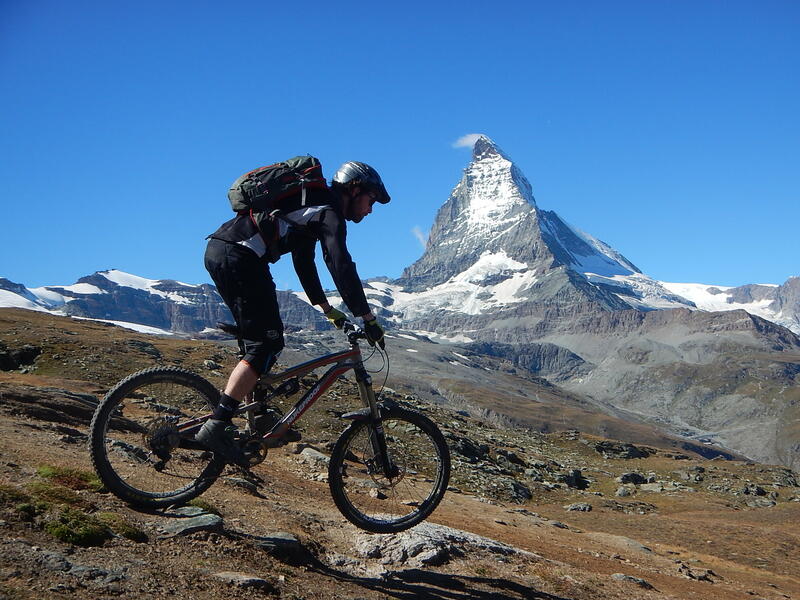 Find out the skills, experience and qualifications that you need to become a mountain bike guide in the French and Swiss Alps. 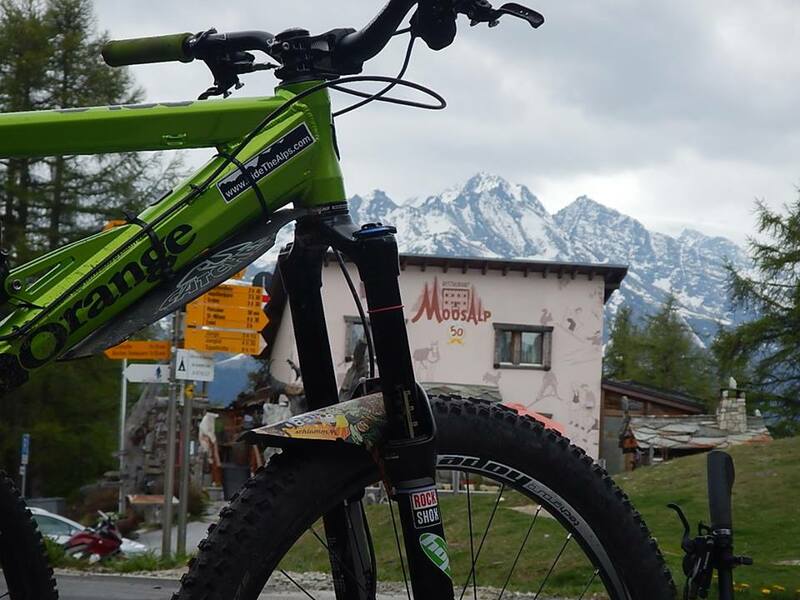 The French Alps are a very desirable place to work and live in and a fantastic mountain bikers’ playground. So no surprise that to work there as a guide is not easy. There are many strict laws that mountain guides have to work to. This is true across the board for any mountain activity, be it skiing, rock climbing, mountaineering, hill walking and mountain biking. The French have awards for guides/instructors for all of these sports at all different levels as do neighboring European countries, including Italy, Austria and Switzerland. If you want to work for free then there are few laws which govern you. There is no law stopping you from doing these activities yourself or with your mates. Just apply a bit of common sense and experience before nipping up Mont Blanc though. We have been asked on many occasions for advice and information on becoming a mountain bike guide. This page is to outline, in my opinion, the best path towards achieving that goal. 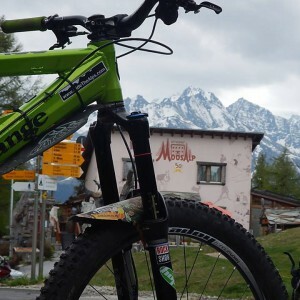 This advice is based on my own experience and what would be required of any aspirant guides who may wish to work for Ride the Alps as a high alpine mountain bike tour guide. Other companies may have different requirements and, more importantly, legal requirements vary between countries. 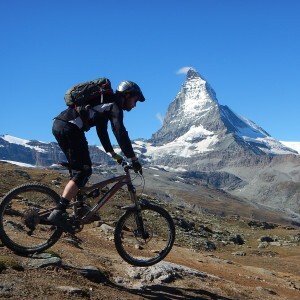 Regarding our own trips the height, exposure and remoteness from road heads means that guiding a Chamonix to Zermatt mountain bikers’ ‘Haute Route’, requires a greater level of competence and high level mountain bike experience than current standard UK mountain bike guiding qualifications demand. So where do you start? From 1st Jan 2016 all UK residents will have to go through the British Cycling (BC) system. If you have an old Mountain Bike Leader Award (MBLA), like myself and many others, it is still valid as long as you keep your membership of BC current and hold a suitable, current first aid certificate. These old awards have an element of coaching skills built-in to the award, like bunny hop, step downs and step up etc. These are taught and you can then teach them to your group while out riding on the trail. This makes sense if some members of your group have not seen a step down or a tight switch back before. However the new system under BC has separated the coaching of skills and leadership of a mountain bike ride into two awards to bring it into line with their other cycling awards. Unfortunately these means that for mountain biking a newly qualified “Mountain Bike Leader” cannot coach or teach skills on the ride. You would not therefore be qualified to teach step downs or bunny hops etc. You would only be qualified to lead a ride. To be able to teach some skills, you would also need to complete the Cycle Coach Awards as well. If you are starting from scratch you have to pay a one off registration fee to the British Cycling mountain bike leadership scheme, this is now 100 pounds and includes membership to BC, log book, and course materials etc. See link https://www.britishcycling.org.uk/mtbleadership . You will need Level 2 as Level 1 is for UK trail centre use. Take the training course and consolidation period and progress to Level 3. Level 3 is about the same as the old MBLA but now has 3 days of training and a 2 day assessment. This at the moment is the highest award for mountain bike leadership in the UK. Currently there are only a few places in UK that have tutors able to deliver this level 3 award. Included among them are Plas-y-Brein in Wales, Cycle wise in the Lake District and finally my favourite guy up in Scotland, Jules Fincham at Cycle Wild Scotland. After this you need to gain as much experience as possible. You need to have as many mountain bike adventures as you can to give you that depth of knowledge and experience to be comfortable in the mountains with people who depend on you for their safety and well being. As I explained at the start, our Ride the Alps holidays require a very high level of guiding expertise, including extensive remote high mountain experience. The Alpine environment is very different from a UK trail centre. A word of advice from Jules Fincham, which I would wholeheartedly support, when you are guiding, “operate well with-in your ability and experience”. Next you need to get your British award officially recognized in France or whatever European country you wish to work in. There is a European Award in the pipeline from British Cycling, but it has not been piloted yet and so may well be some way off. There is another more protracted way to become legally allowed to guide mountain bikes in France. If you are already on your way to becoming an International Mountain Leader (IML) http://www.baiml.org/becoming-an-iml , this could be the preferred route for you. Gareth Jeffries was the first British mountain bike leader to gain his French equivalence with the combined IML and Level 3 MBL awards in 2008. This is also the route that I took. Once you have both awards you have to submit an extensive dossier to the French DDCSPP (essentially the French Ministry of Sport) in the region you live/work in. This should then result in your being issued with a “Carte Professionelle” – a professional card that allows you to work legally as a mountain bike guide in France. Finally, you need the 3 Es; experience, expertise and enthusiasm. That means you have to be a very experienced rider in all areas of mountain biking; ascents, descents, good technical ability and mechanical knowledge. You need expertise in leadership on a mountain bike including group management and organisation, delivered in a relaxed manner and a fun safe way. Following all the hard work and effort it takes to get this far, you need to have with you on every trip and day ride a bucket full of enthusiasm to make the trip a fantastic one, even when it’s raining and no one wants to go up the hill and get wet. You have to lead in a way that makes others want to follow. You have to get them up, over and down safely and have a lot of fun on the way. It’s about making a lot of happy memories for people; the harder the day, often, the longer it sticks in your mind. You don’t become a mountain bike guide for the money, you do it for the love of it. Make sure you have a very cheap life style or an alternative source of income if you intend to do it in the long term. However if you make it, you will truly be a worldly wise guide, have plenty of stories to tell and be a richer person for it. Good luck and my best wishes.